“Washington, DC will continue to work with cities and countries around the globe to meet the goals of the Paris Agreement. The effects of climate change are already here, and without proper planning and collaboration, they will continue to get worse. It is in the best interest of our country’s safety, economy, and future to take climate change seriously, and as the Mayor of a major city, I have a special obligation to protect our environment for generations to come and to create policies and programs that reflect the values of the residents I serve. 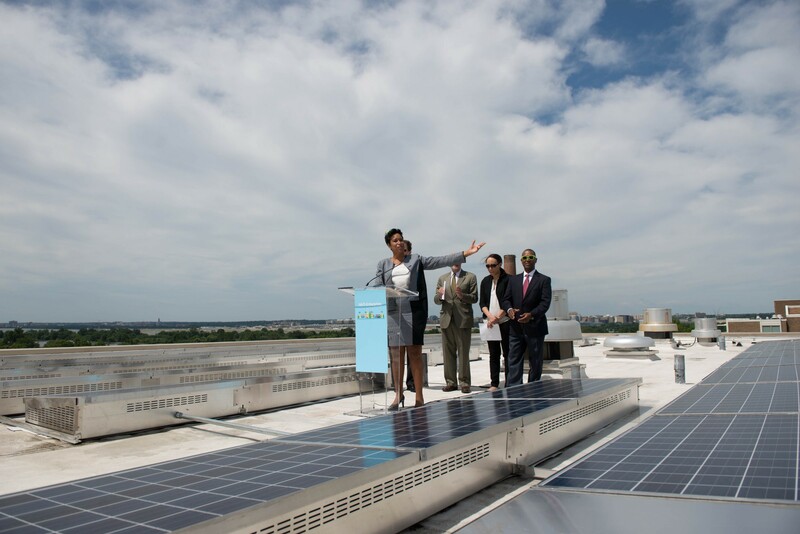 Over the past two years, Washington, DC has launched Climate Ready DC, entered into one of the largest municipal onsite solar projects in the U.S., and completed the largest wind power purchase agreement deal of its kind ever entered into by an American city. Going forward, our commitment to wind and solar will not yield, and we will move forward with building a more sustainable DC. For more news from the Executive Office of Mayor Muriel Bowser follow @MayorBowser on Twitter.